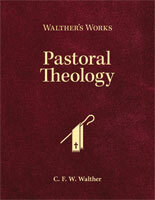 In his monumental work American-Lutheran Pastoral Theology, C. F. W. Walther addresses everything necessary for the pastor faithfully to carry out his call to minister to God’s people. In addition to guidance for sermon preparation and delivery, proper use of the Sacraments, proper exercise of church discipline, education of the youth, and other topics, Walther explores the necessity of pastoral care for the sick and dying. The following is Walther’s introduction to this topic. Thesis: An extremely important part of the obligations of a Christian preacher is care for the sick and dying, and specifically for their spiritual needs. While the preacher should urge his congregation that, whenever a member of the family falls ill, the relatives, or whoever becomes aware of it, should always inform him of this in a timely manner (James 5:14–15), the preacher should nevertheless also diligently inquire whether a member of the congregation has become sick, and, as soon as he finds out in some way that this is the case, [he] should not wait until he is informed and invited but should visit the sick person quickly and continue his visits as often as possible, according to the circumstances, until the patient recovers or dies (Ezek. 34:1–16; Isa. 38:1; Sirach 7:35; Matt. 25:36). Comment 1: The following excerpts can document how highly the duty of a preacher to visit the sick and dying within his congregation has always been held in our church. In the Saxon General Articles—which were first drawn up in 1555 on the basis of the experiences of the church visitations that had been undertaken, were later enlarged and improved, and were published in their present form in the year 1580—number 14 says (among other things): “Pastors and ministers of the Church should frequently visit and comfort sick, grieving, [and] anxious Christians, but especially at the time of death, and should administer the venerable Sacrament of the body and blood of Christ when it is desired. [They] should be eager and untiring in this, and should not neglect this service for anyone out of carelessness or spite or dislike toward some person, [and] should also be as equally ready to serve the poor in such cases as the rich. [. . .] For this reason, if a parishioner among his hearers becomes seriously ill, and the pastor has something to say for the benefit of the salvation of the soul of the sick person, the pastor should not save it until the end, but go most quickly to the sick person, even unsummoned, with all Christian gentleness and modesty, to give a fitting admonition with comfort and encouragement, because the sick person can still understand this and still prepare for his death in a Christian way. The pastors and deacons should also frequently visit the sick in the hospitals, where present, give them the Holy Sacrament, comfort them with God’s Word . . . .” (Des Durchlauchtigsten Herzog Augusten . . . Ordnung, wie es in seiner Churf. G. Landen bei den Kirchen . . . gehalten werden soll, Leipzig, 1580, fol. 318f.) . . . 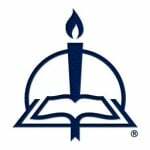 Amended from C. F. W. Walther, American-Lutheran Pastoral Theology, pages 324–27. © 2017 Concordia Publishing House. All rights reserved.